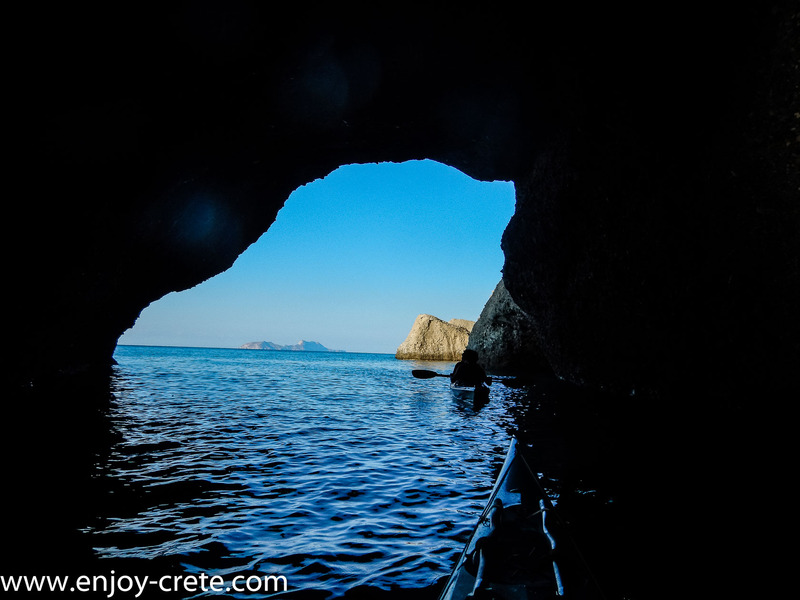 If you are looking for sea caves, crystal clear water and great landing places for snorkeling then this is a trip for you. Located about an hour driving from Rethymno town and a little bit more from Heraklion it is suitable for most of the people that staying in or near those cities. Participants from Chania region are welcome to join but be sure you will put the starting point into your GPS to make sure about the driving distance; just put Agia Galini, Crete in your GPS to get a quick overview about driving distance.The route is very well protected from the north winds that usually blown during the summer while giving some exciting conditions if the wind is coming from the west. A trip suitable for all levels. There will be a short introduction to paddling for those that have no experience. 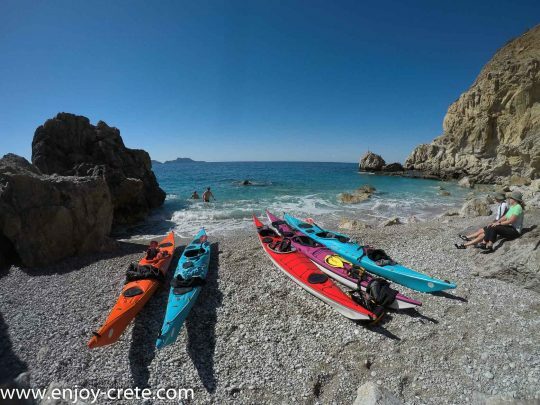 From the starting point we've got a few options about paddling route. We can either move to the west, south east (15-21km max) or even for experienced paddlers (you need to be at 4* level) to do an open crossing (15km) to Paksimadia islands (37km total). The exact route is planned based on the level of participants and of course the weather forecast. Swimming and snorkelling is of course a must during the trip. You will be amazed by the color of the water, a crystal clear green/blue with up to 25 meters visibility; it gives you a feeling that you swim in a huge swimming pool! Lunch can be either in a taverna (great food and cheap prices) or you are welcome to pack your own lunch. If you end up doing the open crossing, you should have packed your lunch as there isn't anything in the islands. One of the many sea caves! 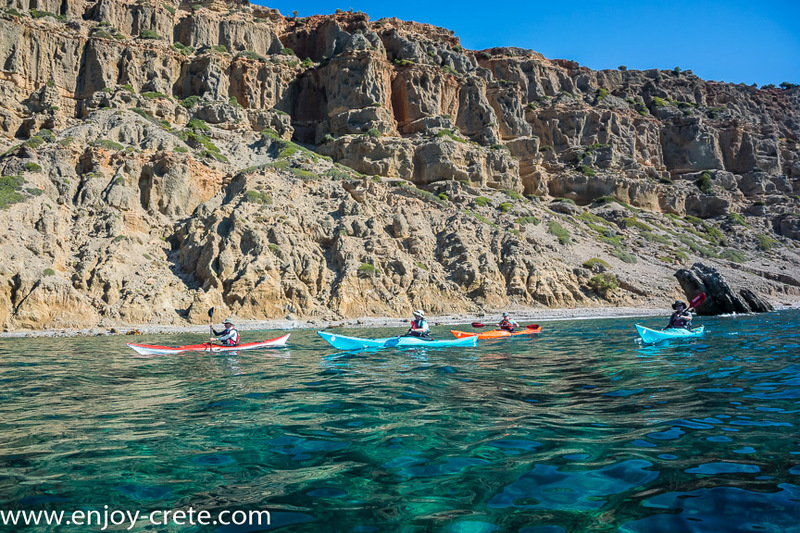 Paddling towards Agios Georgios beach. Check out the following link for the exact meeting point, it is located on the left side of the marina as you are coming towards the big parking. Access to the parking is for free. We start by 10 am and finish between 4-5pm. If time change for any reason you will be notified by email. If you end up doing the open crossing we will need to start much earlier as the whole distance is about 37 km. We pick up clients from Heraklion and any other location as long as it is on our way to Agia Galini. If you need transport and you are not sure get in touch with us. Remember to send us the exact location of your hotel, not just the name. Transport is provided for free. 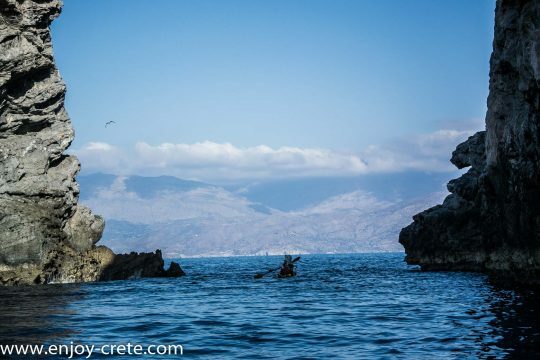 From Chania or Rethymnon we don't provide transport, you will need to get either by bus, taxi or a rental car. Where is the nearest place to overnight? 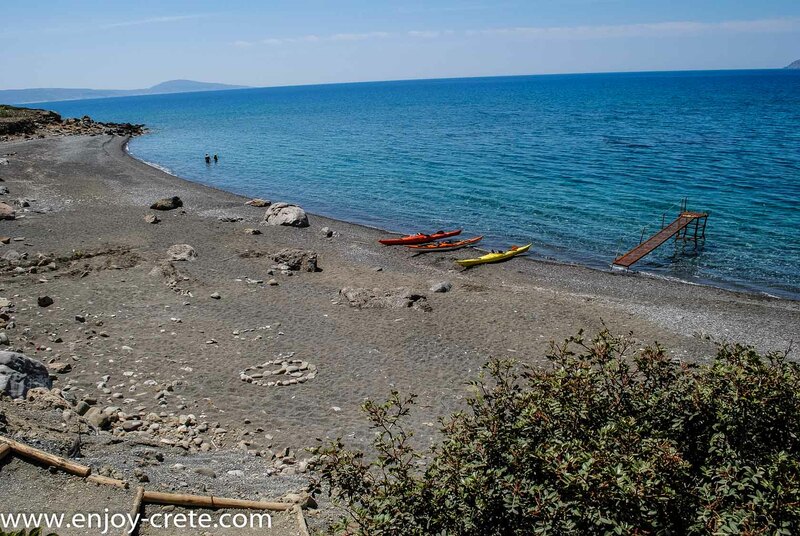 You've got many options for accommodation in Agia Galini itself. 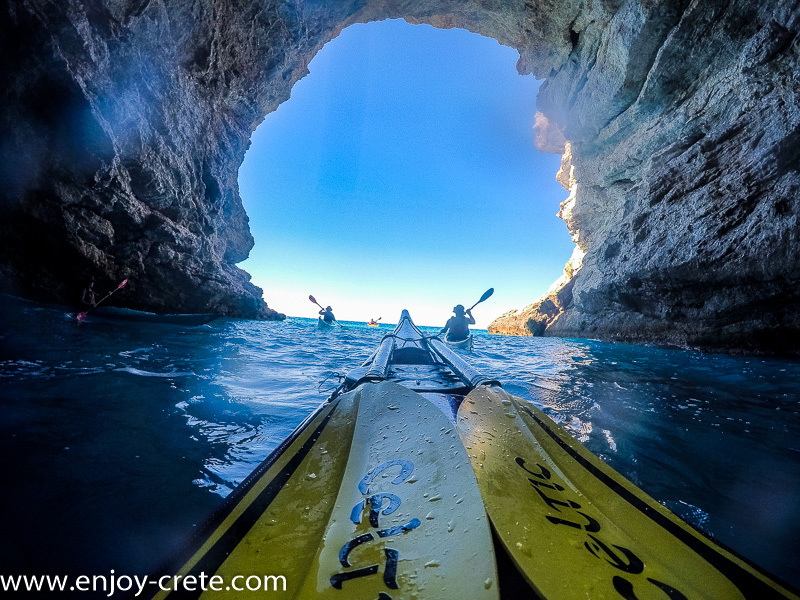 Other places to look which are more or less 20-30 minutes away by car are Matala, Spili or Kokkinos Pirgos.